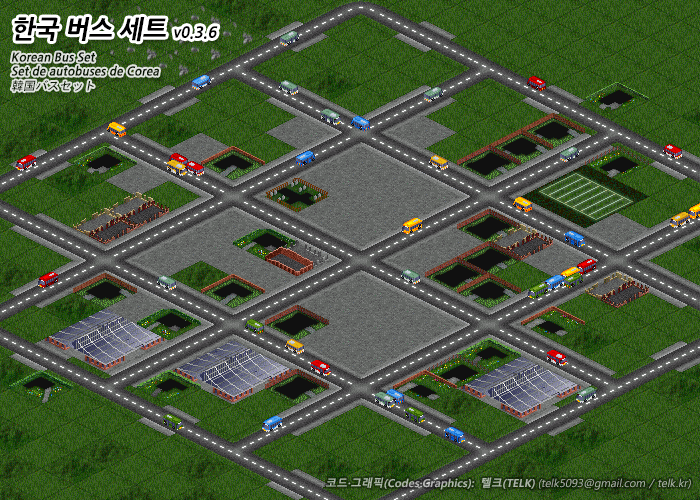 Korean Bus Set is a NewGRF of OpenTTD which adds buses of Seoul and Gyeonggi-do. It has parameters so that you can change buses' speed and capacity. And they can also deliver other cargos by refitting. It adds 8 type of Buses if you apply Korean Bus Set v0.3.2. Belows are detailed list of buses that it adds.